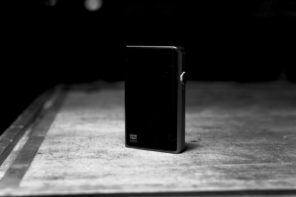 Disclaimer: Headfi’s Amos Barnett lent me the Calyx M for the purposes of this review. 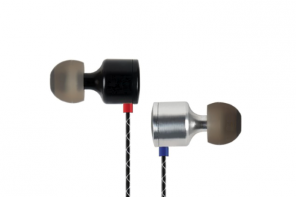 The DSD-capable Calyx M goes for just over 1000$ USD. Absolutely. High prices alone do not mean luxury. 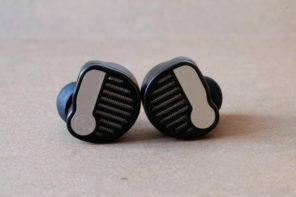 Calyx Audio have been making components for medium and hi-end products for about fifteen years. 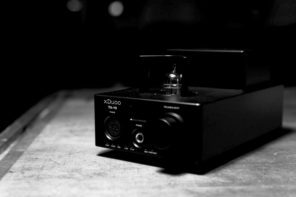 For about seven of those, they have released well-received hifi components of their own. They’re not a low-end company aiming high; they’re an established brand aiming for a market they understand. Still, I have a few serious questions regarding the M.
Mainly, why’s it so big? It’s a freaking brick; larger even than the iRiver AK240. It fills an iPhone 6-sized footprint and thicker than three 6s stacked, one on top of another. Its boasts nearly as much volume as an iPad mini. Maybe Calyx should have called it the iMad. And maybe they should have marketed a special holster, or frame-pack for it. Where’s it going to fit? One of those audiophile bum-bags? Its headphone output is on the top, like an old iPod. Or, sadly, like an iRiver AK series. That means that even if you can fit it in your trousers, you then have to flip it over before you use it. And always, your headphone cable will tip out of the top and get in the way. In other words, it’s not a great player for the crowded Tokyo train. At least its shape doesn’t come straight out of the original TRON. It sports a comely hue and shape. Its magnetic volume slider boasts hard stops, and can be removed if you don’t need it. Nudging it won’t turn its massive screen into a dangerous touchscreen. Its hardware navigation buttons are flush with the body; accidentally changing tracks, or pausing your music, is going to be hard to do. These are nice touches. 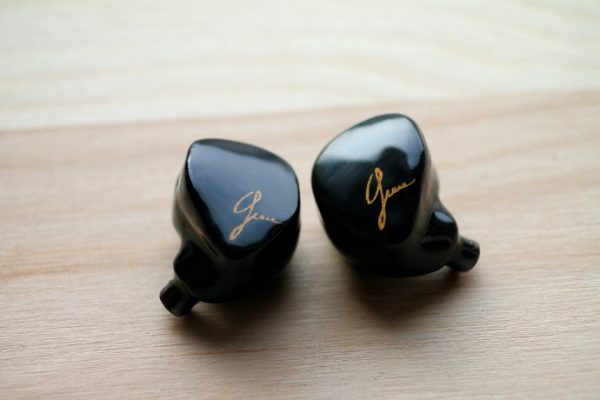 But if you’re going to spend a grand on a player, you probably also want to sound good. Don’t worry, it does. Very, very good. In The 40-Year-Old Virgin, Steve Carrell planted candles and incense around his room before firing up naughty videos. My ears are as far from virgin as can be. Still, I prepped them good for this review. Why? 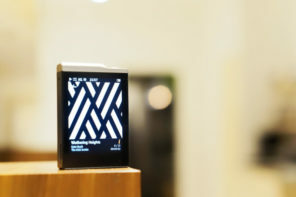 The M is the first pricey audiophile player that retires the zoot suit for a Zune suit. Earthy, stayed, and fastened by Volvo corners. Its much-too-large screen is beautiful, and contrasty. 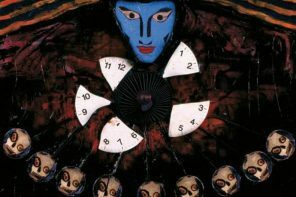 It comes wrapped in a black cloth, and packed in a tight cardboard box. There’s a full-size CD in there, somewhere, and a vomit-coloured USB cable to boot. And, as an Android device, it requires software to connect to, and transfer music from, your computer. 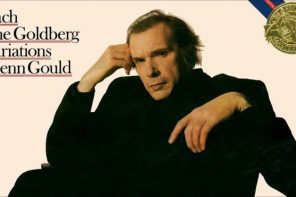 There’s no web surfing, no wifi, or bluetooth; the M is not mired by a wireless connection to a shabby music shop. It’s music, plain and simple, that drives it. And it’s music which I expected the M would easily play. Alas, as is the case with all hi-end music players, the M’s interface is a mess of good and really bad. It comes replete with poor navigation screens, mixed-up interface cues, the reinterpretation of classical UI icons, and worse. Exhibit A: the […] that indicates a parent directory, back, or directory up? On the M, it is the shortcut to the (long) settings menu. What? Swiping back (sometimes) takes you to a previous navigation screen. Paused music plays when track forward or back is pressed, breaking the wonderfully utilitarian compact disk UI. 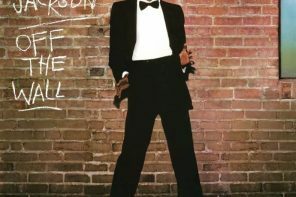 Finally, the on-screen play/pause button is practically hidden thanks to overly opaque album art. And yet, the M is refined. Its chamfered edges comfortable. Its volume slider is surprisingly easy to use (and difficult to lose). When I first touched the M back in May of this year, I was most worried about the slider. To be honest, I still consider it a gimmick. A simple volume rocker is more accurate, and less prone to breakage or theft. But after a month and a half with the M stretching my largest trousers pockets, I’m convinced that my first impressions were a bit harsh. RHA T10i: Removable Filters Anyone? Cayin C5 – Bubbly, Baby! Worry for your GOT/GPT values, I do. I’m going to need an explanation. Thanks for the great article Nathan! I recently upgraded my DAP to the M. Previously I was using an iPod Classic 160 GB and the CEntrance HiFi-M8. My classic was running out of space as I have large music collection of lossless files so I decided to pull the trigger on the M and sell some of the gear (the iPod classic, also a Beyer a200p that I did like but that I bought thinking it would eventually becoming iPod classic compatible but never was) that I no longer use so I could help fund the purchase. I am very happy with the M and it sounds fantastic! The M sounds better than my HiFi-M8 other than in USB DAC mode or when driving my T1s. As you point out the M is not as full featured as other DAPs (i.e. no wifi, no Bluetooth, no switchable amp cards) however what the M does do it generally does very well which is that it produces great sound and has tons of storage capacity. 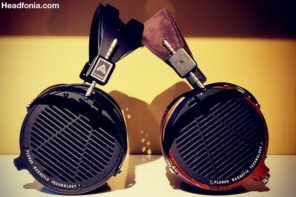 Before purchasing the M I also considered the Astell & Kern AK100ii and the HiFMan-HM901. 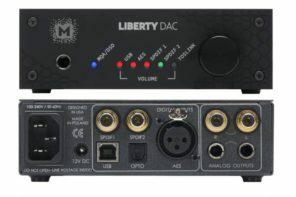 I decided against the AK100ii because of the more limited storage which wouldn’t give me much of a storage upgrade over the classic and I also decided against the HM-901 because it does not have playlist capability and it cannot serve as a standalone USB DAC like the M (which is nice for traveling to pack the M and a laptop). I find creating playlists on the M is very easy as you can add entire albums and artists to the playlist and I had no trouble re-creating all of mine quickly. Rich, I’m glad you are enjoying your M. I’d LOVE one if, and only if, it had better battery life and was much smaller. Its sound is phenomenal. I agree it is a little large and it could use better battery life but the battery life is no worse than my HiFi-M8 which I’m used to. Maybe in a future firmware update a setting to dim the screen brightness might help a little with the battery life. I also heard that the M may get iDevice compatibility with a future firmware update that may allow the M to serve as an iPad/iPhone DAC with the Apple Camera Connection Kit. And obviously as I purchased the M the size and battery life were not major issues for me. From what I’ve read on the M it seems that in order to make the M smaller or to increase the battery life one of the memory card slots would have be eliminated and a different DAC chip that’s not as power hungry would have be to used. At least for me I wouldn’t want any less storage and wouldn’t want to give up sound quality for more battery. Well just my thoughts. I guess the question I must ask is: would you be willing to go with a larger player? For me anyways I would be willing to go with a larger player if it meant better sound quality. Again for me the two priorities were 1) sound quality and 2) storage space. Everyone has their own preferences but I can tell you I would have been unable to justify the M’s price tag if the sound was just mediocre or subpar. 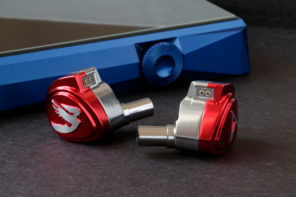 I suppose if smaller size and battery life are more important you could always go with the Tera player and still not sacrifice sound quality but you would forgoe storage space and would be limited by the headphones you could use as i understand the Tera player isnt very powerful. But interesting topic and I’d be glad to hear everyone else’s preferences/priorities when it comes to a DAP. I’m worried about the thinking that ‘larger equals better’, when that isn’t the case. 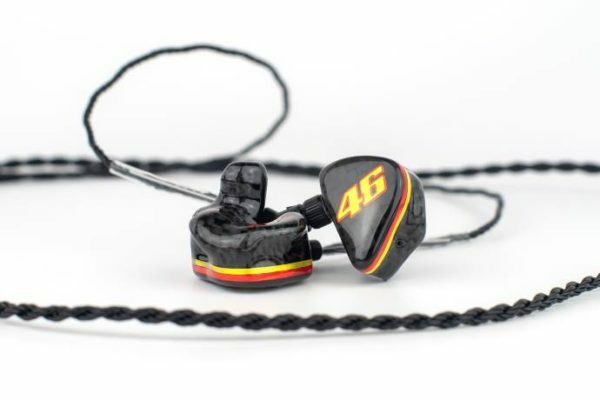 For the sound character the M champions, it is the best-sounding DAP out there, bar none. But its output is bested in a few, key areas, by certain, smaller players. One thing is for sure: it is _easier_ to design a good-sounding player with a large footprint than it is a good-sounding player with a small footprint. It is also possible to design circuits that, while using hungry components, dissipate less heat. I’m glad that we have differing opinions on sound, but I’d like to hear your opinion on a device that sounded just like the M, but came in a package half the size or less. It is possible. FYI I’m not necessarily saying that larger always equals better. All other factors being equal including sound quality and storage capacity I would probably buy the smaller DAP as it would be more portable. But I have yet to find a DAP that is smaller than the M that can match both its sonic performance and storage capacity as those were my two main purchasing criteria above all else. kill of the MicroSD slots-useless if you have an SD slot. I wish all battery-life specs were realistic. My Portaphile Micro gets pretty close to the 4 hour spec, but it’s still 4 hours at best. My v-moda Verza is rated at up to 12 hours I think, but never did better than 6 hours. Worse, use it for just 2 hours and let it sit for a week, and it’s dead. I’ve had 2 of them – both the same. Why don’t more mfrs. use NiMH cells – they’re good under heavy current draw, and replaceable cheap. 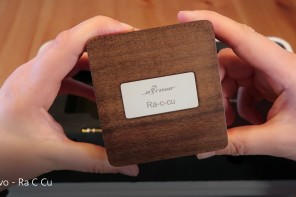 Did I miss the comparison with Headfonia’s favourite Theorem 720? Of course it is not a DAP but a portable device nonetheless. Well, the T720 is my fave portable device too. Any comment? I didn’t bring that in for the simple reason: it’s too different a device. I mean, you have an iPhone or iPod as a source already. Is the M an upgrade? The entire package is about the same size if you use an iPod nano. If not, the Theorem package is less wieldy. More hiss on the Theorem, more smooth ness on the M. Honestly, if the M held battery charge longer, and didn’t get hot, and was smaller, I’d trade my left arm for one. Thanks for that. M seems to be a good step for DAPs in terms of SQ. Let’s hope the next version will be smaller and have longer battery life. Recently buy calyx m And compare it with my previous dap dx90.. the sound is so different.. Dx90 sound so unnatural and harsh however soundstage still better on dx90 .. and for sure the m does the bass !! I’ve updated firmware. Apart from the niggles, the M is awesome. CES 2015 should be interesting for Calyx. Just read they plan to introduce two new products at CES. 1) The Calyx PaT which appears to be an inexpensive around $99 portable DAC for iDevices and Android. 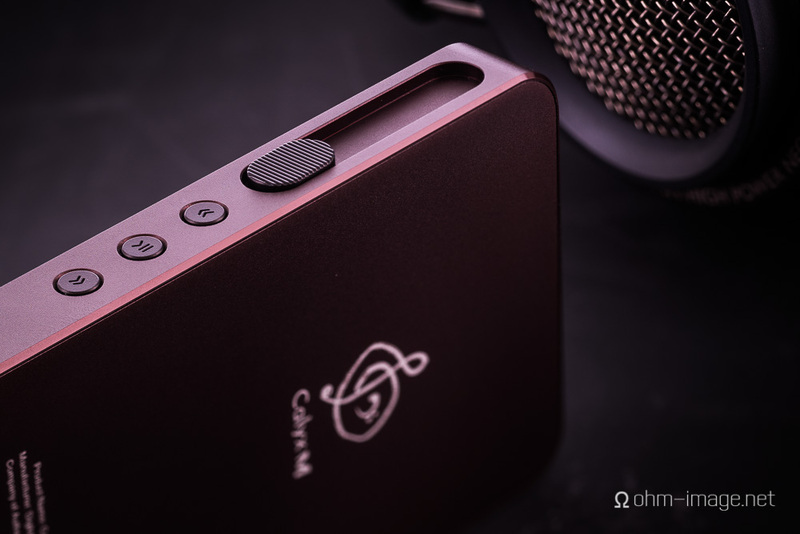 2) The Calyx F which is a larger portable USB DAC/Amp, around $599, that will offer a similar sound signature to the M. Will be interested to check both of those out. Glad to see them focusing on the portable world. Hope the new products are as good (and some small ones coming, too). You had me at “uses SD Cards”. Why more manufacturers haven’t done this is beyond me. With one SD card slot and a Micro to SD adapter you can play both. Sounds like a swell device, I would like to see how it develops in the future once they sort out the bugs. The lack of connectivity from wifi, BT etc doesn’t bother me-what would are all the little UI issues and wonky functions. For a 1K player, for me anyway, having a dialed UI is a must. Everything else is just icing on the cake. This is a VERY good sounding player. I think it would be cool to just have the option to turn off the touch sensor in the UI – now everyone is happy. The M looks about as think as an iPhone 5 – maybe allow it to be a bit thicker to shrink the foot print? I could live with that. It is about 3x the thickness of an iPhone 5. It has a footprint the size of an iPhone 6. 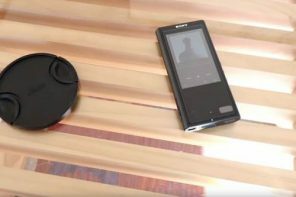 I’d be happy with a split interface like the DX90, though would prefer it to have NO touchscreen- that is, unless it was as well implemented as an iPod touch. Even still, I think there is no need to implement touchscreens in audio devices. After read your review, i decided to buy one but it still on the way.. If i want to use external/desktop amp, I must use the HO and maxed out the vol from calyx, right? Have you tried this with fostex hp-v1?I would like to give the tube nuances and a bit of sparkling that hp-v1 has…is it good idea (forget about the size or pocketability) ? Thank you Nathan for your great review as always…. lowbies, thanks for the commentary and update on your purchase plans. I don’t own the HP-V1, but it is an amp I’m sure to buy in the new year. I had it only for a few weeks for the review. It is awesome. The M has a great signature that _should_ mate well with the M, but I can’t tell you for certain. I’m looking forward to your thoughts as that is a system I’d be glad to own. I just want to give you an update about Calyx M and Fostex HP-V1 pairing. I’ve also tried to pair it with Alo Continental. Alo Continental was a better pairing than HP-V1, but I always prefer to use my LCD-X and Ocharaku Kuro (Type I – original ver) just directly Calyx M.
Feeding it to another portable amp just giving me another different nuances and coloration, beside of that I think I’m losing some refinement, smoothness and holographic vocal imaging. In my opinion, Calyx M internal amp is already very good and well implemented. Thanks for the update. Pairing is always personal. The M’s output is very good, so any portable amp will be adequately fed, but in matters of taste, nothing is sure. Enjoy. Thanks for a great review. I wonder how the M measures up to the Cowon Plenue1 or the Cayin N6. Reviews soon? The former is more expensive while the latter is far cheaper. I will wait for the reviews of the two before I can commit limited wherewithal. 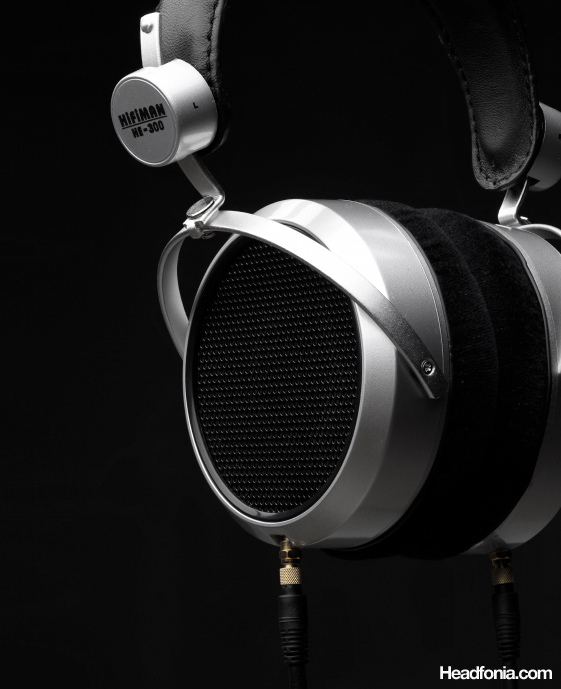 I’ve only held the Plenue for a brief moment at a recent headphone shoot. I was impressed by those few moments. But I can’t comment farther than that. Nor can I comment on the N6. If anything changes I will let you know. Both devices are extremely interesting to many of our readers. I recently sold some head-fi gear to upgrade the Audeze LCD-XCs. I will say that the XCs sound great with the M and that the M has no problems driving the XCs. Has anyone else tried the XCs with the M and if so what did you think and what impedance gain/setting do you prefer when using the M with the XCs? I assume it should be perfect. The Alpha Dogs run perfectly and so does the DT880. The M has a very good output. what would be your choice between calyx M, msak100/120, dx90 for gr10? For noise alone: MSAK100. 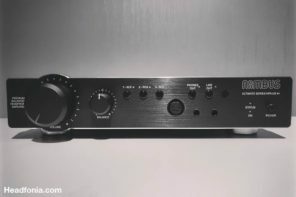 For sound signature, toss up between the MSAK100 and Calyx M.
Does the volume control work in DAC mode? I’m sorry I don’t remember now (the unit was on loan). I’m sure it does. 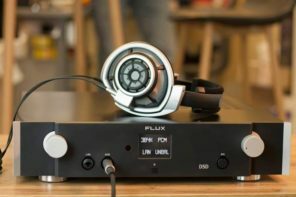 This is certainly one of the most interesting Hifiman headphones around, and definitely has more to it than just being the entry level model….